I really don’t know much about modern day Iran and I know absolutely nothing about Iranian myths and legends, or it’s ancient history, so I wasn’t really sure what to expect when I started to read this book. I wasn’t expecting to enjoy it quite as much as I did. 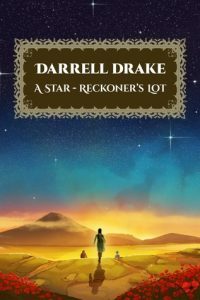 A Star-Reckoner’s Lot by Darrell Drake was a fun and interesting read from start to finish. Since I didn’t have any real expectations for the book and knew next to nothing about the author I assumed it was safe to read a few chapters to figure out what I was getting into before bed. 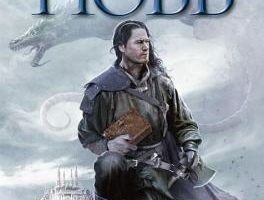 I was unable to stop reading it once I had started and was still wide awake and reading it at 6 AM the next day. I don’t regret the lack of sleep at all. While I really enjoyed reading A Star-Reckoner’s Lot and could probably go on and on about it, I will stick to the two things that I think stuck out the most to me. The one thing I loved the most about this book was how detailed the world and story of A Star-Reckoner’s Lot was. Darrell Drake had to have done an impressive amount of reading and research before writing this book to make it as realistic as it is. I think it definitely shows in the writing and is probably the one thing I enjoyed the most. The detailed setting is also a nice change from all the urban fantasy or the stories inspired by medieval Europe that you seem to be taking over the market these days. It actually inspired me to go out and do a bit more reading and research of my own on the topic of Iranian myths and legends. I think it’s a really good book that makes you want to learn more on the topic. The second thing that I really thought made A Star-Reckoner’s Lot stand out above most of the books I’ve read lately was the main character Ashtadukht. Most of the fantasy you read about these days seem nearly perfect, incapable of making mistakes or losing. Ashtadukht was not like this, she’s flawed in so many different ways and often fails at what she was supposed to be doing, it’s a refreshing change. I found her to be one of the more realistic female characters I’ve read about in a long time. She, along with the detail is what really made this book worth reading the most. To quickly recap — I thought A Star-Reckoner’s Lot was a fantastic book that I will definitely read again more than once, and I will gladly recommend it to anyone looking for something new and interesting to read. Much appreciated, Shane. Your kind words made my day. Hope you’ve gotten some shuteye since!